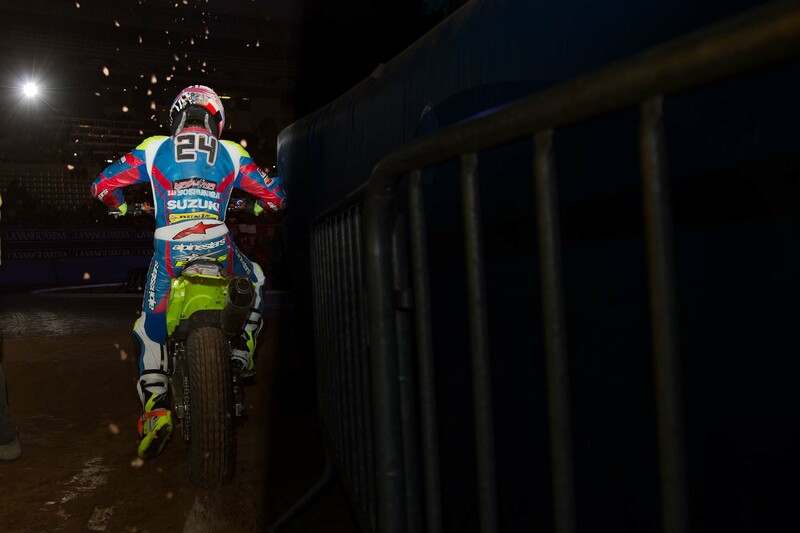 JD Beach has won the fifth edition of the Barcelona Superprestigio indoor flat track race. The American passed Toni Elias in the first couple of laps and led for almost the entire 16 laps of the Superprestigio Superfinal. Beach entered the Superfinal as favorite, having won all three of the Open class final races to face off against the best of the roadracing world in the Superprestigio class. Briar Bauman, the second American entry, finished in second, not far behind Beach, having fought his way through from fourth in the early laps. Mark your calendars, because the 2017 Superprestigio flat track event is this weekend. But if you’re like us, you likely won’t be in the Barcelona over the weekend, which means you need a way to watch some of motorcycle racing’s top riders battle it out on the dirt oval. No worries, the folks at FansChoice.TV have your back on this, offering a livestream of the Superprestigio flat track race to American viewers. Commentary will be handled by American Flat Track’s very own Chris Carr, who knows a thing or two about going fast in the dirt. Coverage on FansChoice.TV will start at 9am PST, with racing expected to stat around 9:30am PST. The organizers of the Barcelona Superprestigio indoor flat track event, to be held in Barcelona on 16th December, published the provisional entry lists on Thursday. The entries contain more than their fair share of talent, with eight world champions in different disciplines lining up on the grid. Arguably the biggest name from the road racing scene is double Moto2 world champion, MotoGP Rookie of the Year, and best independent team rider Johann Zarco. The Frenchman is due to line up on the grid representing Yamaha. 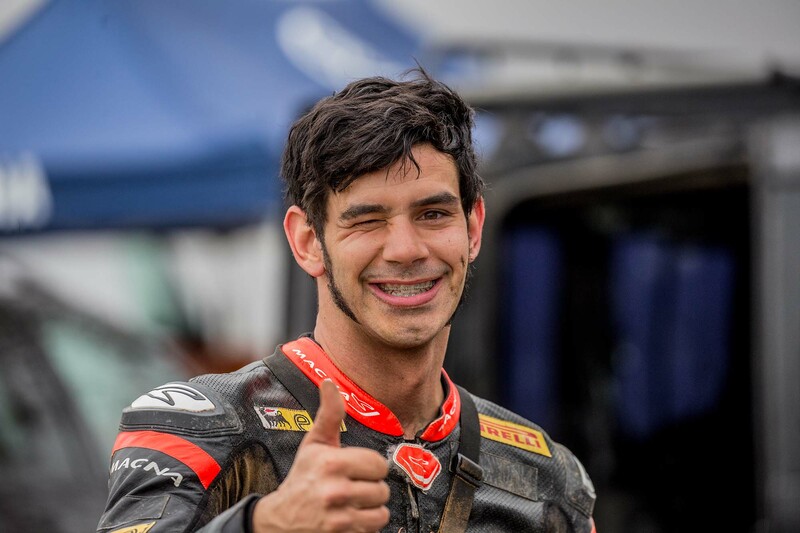 His compatriot World Supersport champion Lucas Mahias will also be racing in the Superprestigio, as well as former Moto2 world champion and reigning MotoAmerica champion Toni Elias. The Barcelona Superprestigio dirt track event returns for its fifth edition this December 16th. But the indoor short track held at Palau Sant Jordi, south of the city center, will be without a couple of its big name riders this year, including the originator of the idea, Marc Marquez. The Spaniard announced a few days ago on his Twitter account that he would not be racing in the event, citing the need for a rest after a long season. Just how much of it was his own decision, and how much the result of pressure from Honda, is unknown. HRC were known to be deeply unhappy about Marquez racing in an event which is fraught with the risk of injury, but were unable to stop him. Not too many MotoGP racers have their own YouTube channel, which is interesting in its own right, but it doesn’t surprise us to see that the two biggest personalities in the GP paddock are constantly churning out content for their fans: Valentino Rossi and Marc Marquez. Just recently, the 2016 MotoGP World Champion won his own event, the Superprestigio Dirt Track race in Barcelona. That victory might not have been as big of a deal as winning again the MotoGP title, but make no mistake, Marquez’s victory over Brad Baker & Co. was very important to the Spaniard. To celebrate that win, Marquez and his crew have made a little video celebrating the occasion. Whether you love or hate Marc Marquez, we are sure the video will only fuel those feelings further. Enjoy! Marc Marquez has taken revenge at the event he helped to create, winning the 2016 edition of the Superprestigio in dominant style. The 2016 MotoGP champion had dominated the qualifying heats, and chose the inside gate to start from. Though he dropped behind the excellent French Supermoto champion Tom Chareyre off the line, he entered the first corner in good position, with AMA star Brad Baker tight on his tail. The pair quickly slid through to take the lead. In previous years, Baker was capable of taking the fight to Marquez and beating the Spaniard, but this time, Baker struggled. Marquez quickly built up a lead that would not be challenged. Baker, meanwhile, had trouble behind him, with Toni Elias sliding inside him to take second, leaving Baker to battle with Chareyre for the final podium spot. Chareyre tried one hard move on up the inside with a couple of laps to go, but Baker kept the door closed, and Chareyre went down after hitting the inside of Baker’s Honda. A disappointed Baker crossed the line to take third. Not in Barcelona this weekend and wondering how you can watch Marc Marquez and Brad Baker bang bars together at the 2016 Superprestigio? Don’t worry, we’ve got you covered…or we should say that the folks at American Flat Track have you covered. Once again hosting a live stream of the flat track series, American racing fans will be able to watch this year’s Superprestigio via the internet, on FansChoice.tv. The feed is totally free thanks to work between DMG and RPM-MKTG, the Spanish promoter of the Superprestigio. The feed will begin streaming at 1200 EST (0900 PST) through 1530 EST (12300 PST). 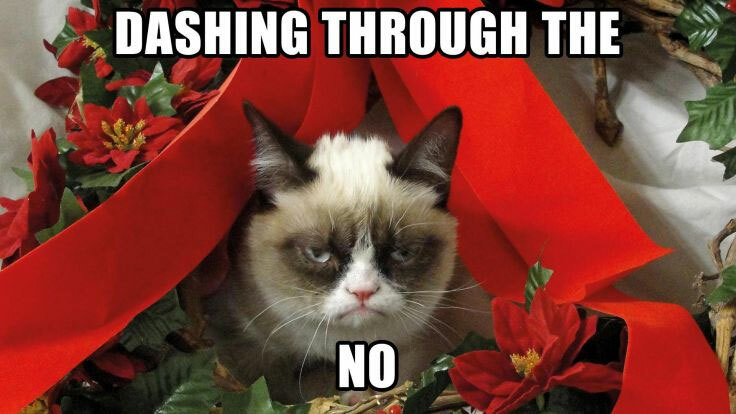 Christmas is in the air (regardless of David Emmett’s protestations) and that means one unfortunate fact; the racing season is almost finished. We’re drawing towards the longest night of the year in the Northern Hemisphere, but thankfully there is a bright light in the sky to guide us. It’s not a star leading to a manger, where a new born baby lies in wait to save us all, but rather one last event of the racing calendar. Flat Track takes center stage this weekend and the Superprestigio in Barcelona has quickly become one of the most anticipated events of the year. Rebirthed in 2014, the event has grown in popularity, and on Saturday night we will once again see Brad Baker take on the best that Europe has to offer. The American is a former AMA Pro Flat Track champion, and generally regarded as one of the biggest talents to come out of the US series in years. Baker and Marc Marquez were born a day apart in February 1993, and both have captivated their relative championships in recent years and gained reputations for their bravery and spectacular styles. This is the one weekend a year where they battle for supremacy on track together. 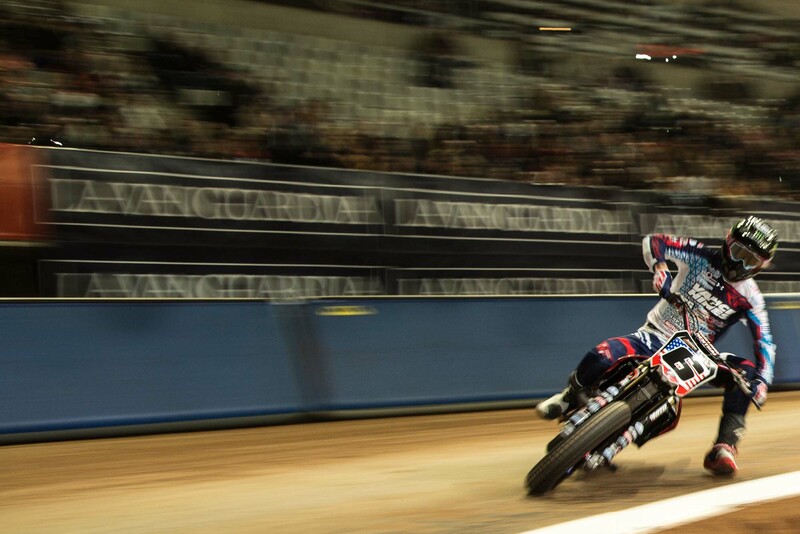 The Barcelona Superprestigio has proven to be a popular staple of the winter break. The indoor flat track race, which takes place at the Palau Sant Jordi, is returning for its fourth edition on December 17th. Once again, the stars of the MotoGP, World Superbikes and Endurance will take on the cream of dirt track and off-road disciplines. Former winners Marc Marquez and Brad Baker face off for the fourth time. The event follows the formula which has been so successful in the past. The field is divided into two classes: the Superprestigio class, which features some of the best asphalt riders in the world; and the Open class, in which the best of the off-road world will compete.